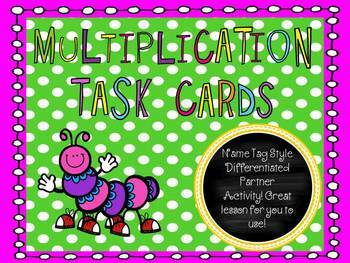 If you have never used the name tag styled task cards, you are in for a TREAT! I just started using these and fell in love with how well it worked in my class. So what is it? Just like the ever so popular task cards, name tag style is a variation of having the students moving to different cards. 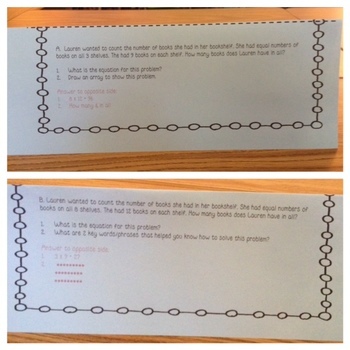 You fold the paper in half and each child will answer the questions facing them. Their partner will answer questions that are on the opposite side. Then, students trade papers to check their partner’s work. 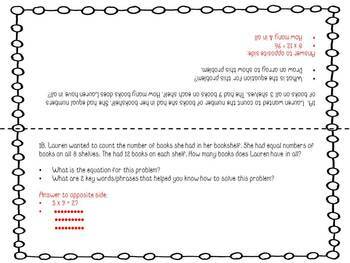 The answers to the opposite side can be found on the card facing the student in the red font. It is designed to be differentiated, in which partner A is a lower student and partner B is a higher student. The questions are at a more advanced level for partner B although the students have no idea! 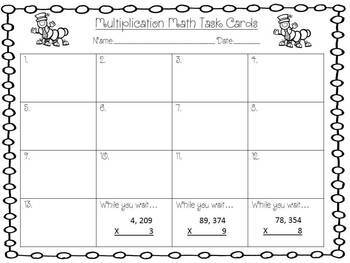 I also threw in some multistep addition and subtraction word problems to keep the class on their toes! Students also have 3 challenge problems to do while they are waiting for their partner to finish!